Sixteen-year-old basketball player Caelin Peters is starting to earn recognition as a top collegiate prospect in the United States. A spokesperson said, “Born and raised in Bermuda, Peters has represented Bermuda’s youth national teams in the past and moved to Philadelphia, Pennsylvania in 2016 to pursue his dream of one day playing professional basketball. “His dream took him to Plymouth Whitemarsh High School, a perennial basketball powerhouse in the state. Last year, the PW Colonials started the season 27-0, making their way into the national rankings, which saw all five of the team’s starters getting scholarship offers to play college basketball. During that season, Peters saw limited minutes as the only sophomore on a varsity roster loaded with nine seniors. As a rising junior, Peters was looking for the opportunity to prove himself. “Peters’ PW team played four games over the weekend event. The first game was a matchup with defending state champion Roman Catholic High School. The first contest saw Peters getting the ball to his teammate, 7’3″ center Naheem Mcleod, a nationally ranked center by ESPN. “Peters continued his solid play the rest of the weekend in games against Baltimore Polytechnical High School [Maryland], Team Speed [NJ], and St. Georges Tech [Delaware]. In the game against Team Speed, Peters scored most of his 12 first half points on midrange jump shots off the dribble, finishing the contest with 18 points. In the final game against St Georges, He finished the game with 15 points on a number of flashy drives to the basket. “June 15th is the first time that NCAA Division 1 college coaches can make official contact with potential recruits. 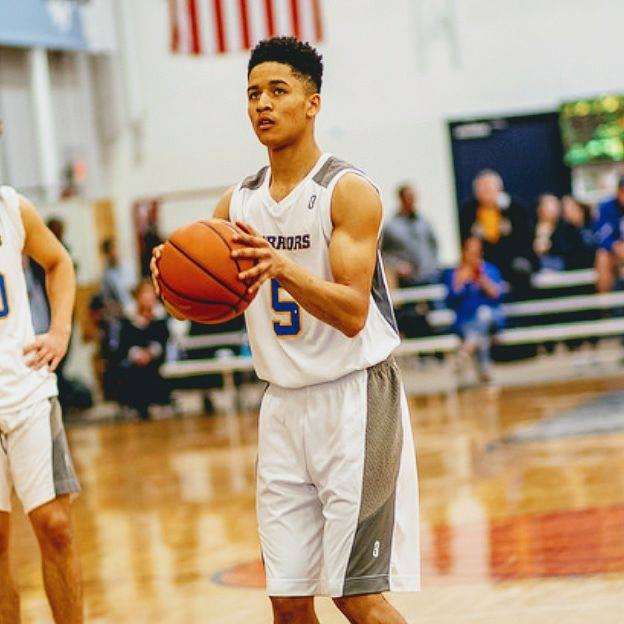 Peters received a phone call from Lafayette College expressing interest in coming to watch him play during the July live period and in his junior season.